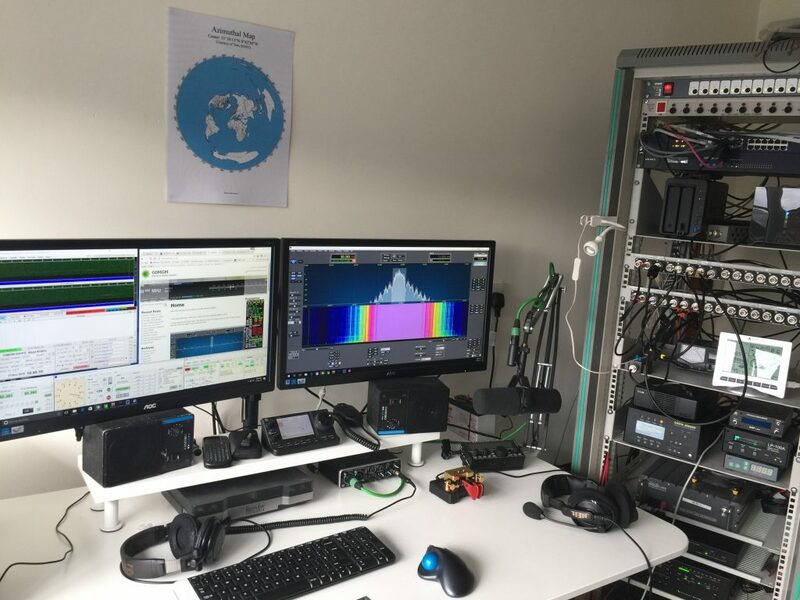 Its been some time since I posted any pictures of my re-built station, so I managed to get some time today, whilst doing some Meteor Scatter on 6m, to take a picture of the current setup. Its proving to work quite well and its a nice change from having to go into the cold (in winter) and very hot (in summer) old garage setup I use to have. I managed to rescue a 37U high rack from work before it was thrown in the skip so that is where most of the equipment is housed. I have put my KX2 on the desk so I can play with that as well as the IC7100. All in all it seems to be working quite well. Datamodes, Elecraft, Equipment, G0MGM Station, Meteor Scatter, Shack. permalink.